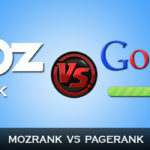 BloggingTips.Guru SEO On-Page SEO Tips: What is On-Page Optimization? On-Page SEO Tips: What is On-Page Optimization? On-page SEO is an integral consideration for anyone wanting to make the most of their website presence. 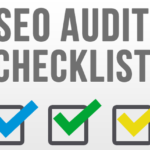 It is all about allowing search engine spiders to more efficiently determine what kind of content you are providing. To that end, starting from the foundation of your page and building on it is the most logical way to approach your on-page SEO. Your website gains a direct benefit from names and labeling that make sense. The URL of a particular page should contain the keywords of the related subject matter. Any images that are hosted on the domain of the website should have appropriate, relevant names. A picture of mountain peak would be best named as mountain-peak.png. The structure of the website itself should make sense. Avoid generic names for any sub-directories and try to make them specific to the contents. Having separate, deeper directories for more specialized subjects is better for the website in the long run than cramming content into generic folders. The Title, H1, and H2 tags are all of the exceptional importance to a website. The Title is the initial view the algorithm will take while the other two provide almost a Table of Contents and index of the subject material. Accuracy in these tags will make it easier to determine what your content is about and who it is relevant for. The H1 and H2 tags should be keyword friendly and work with your Title tag. The Title should not be longer than 70 characters, as that is the display limit in search results. It is acceptable to use a descriptive title and include your business name in the Title. This is the most important aspect of your on-page SEO being roughly equal to worthwhile content. Search engine algorithms cannot interpret images without assistance. ALT image tags allow images to be labeled for proper indexing for contribution to your SEO. Images that are not properly tagged do not exist to the search engines. If you’re going to take the time to post it, it might as well be working for you. Every link on your website should be search engine optimized by providing relevant keywords to the target material. It does not matter if it is an internal link or pointing to an additional resource. While it may read a bit redundantly to human eyes, that is not so much a concern when it comes to link text. Neither people nor search engines are looking at links to provide more information than what it points at. Ensure they are performing this integral function. The content and subject matter of your website will be weighed as well. It is important to find a marriage between functionality to appeal to search engines and readability for a human reader. The opening sentence of the document is an important part of indexing and needs to contain keywords, but not be so saturated that it turns off a human reader. An appropriate density of associated keywords is in the neighborhood of 5%-8% of the text when using a variety of terms. Avoid using a specific word or phrase at more than a 2%-3% density no matter how relevant. Search engines may view it as keyword stuffing and your audience will have a difficult time reading the text in a natural way. 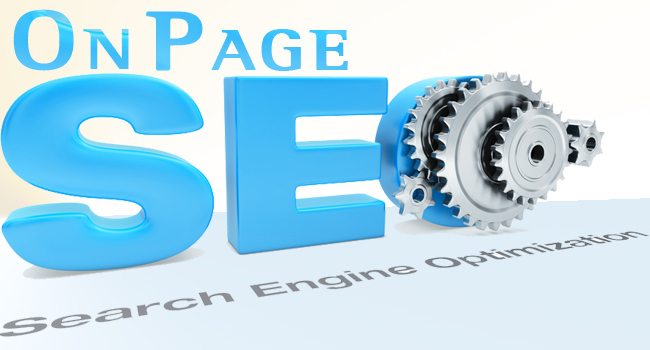 On-page SEO is one of the most important activities one can undertake for the long-term health of their website. Simply slapping up pages without much rhyme, reason, or planning is an ineffective way to approach an internet presence. In addition, one is guaranteed to always be behind the curve of those that take these circumstances into consideration. The attention does pay off, it just takes time. More on BloggingTips Right Now! 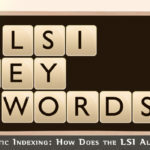 Latent Semantic Indexing: How Does the LSI Algorithm Work? Rajesh Namase is a serial entrepreneur, a professional blogger and internet marketer. He has a great passion in blogging and SEO. Rajesh has written 158 awesome articles for us at BloggingTips. Anchor Texts- What They are, What They do and How to Use Them Effectively? Awesome short and quick tips. You have well said, the term on-page SEO refers to set of practices you can take directly on a page to improve its search engine rankings. Such an great article. Thanks for sharing. If you want a picture to show with your comment, then get Gravatar!